The internet is growing day by day. You can see that the websites gives information on almost anything right from tinted glasses to laparoscopic surgery. These websites are developed by entrepreneurs who want to make money from their websites. These websites require new content. Without this content it would not be possible for the entrepreneurs to make money. For producing new content you need writers. So the need for writers is continuous. Freelance writers have a lot of job with so many websites regularly requiring content. The opportunities are enormous for content writers. They need to be very careful while choosing assignments. Make sure you do not choose assignments that pay very low. You may end up doing work for a pittance. Content writing need not always be fulfilling. Content writers are hired to write articles like gadgets. The only comfort in writing these assignments is that they can be written without any research or interviews. This makes it easy to write the articles. The pay is very low you may get only $1 for 400 words. This is pathetically low and will wear out the content writer very soon. How to find good content writing assignments? Don’t be depressed you can surely find websites where you can make solid extra money. You need to be cautious while choosing assignments. Choose the correct assignment which will pay you considerably well. The key to write good content is to choose topics which you are already aware of. 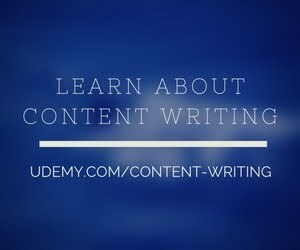 Such content writing is easy as it is not time consuming. You can earn money very easily. The next step is to determine the lowest amount for which the writer would write. Never accept assignments lower than this threshold limit. There are various websites which publish content writing jobs and help you get good assignments.